South Ayrshire Council’s £1.5 million AMBITION programme, which offers hands-on business support and mentoring, grant funding and dedicated business incubator units for new enterprises, has arrived in Maybole. 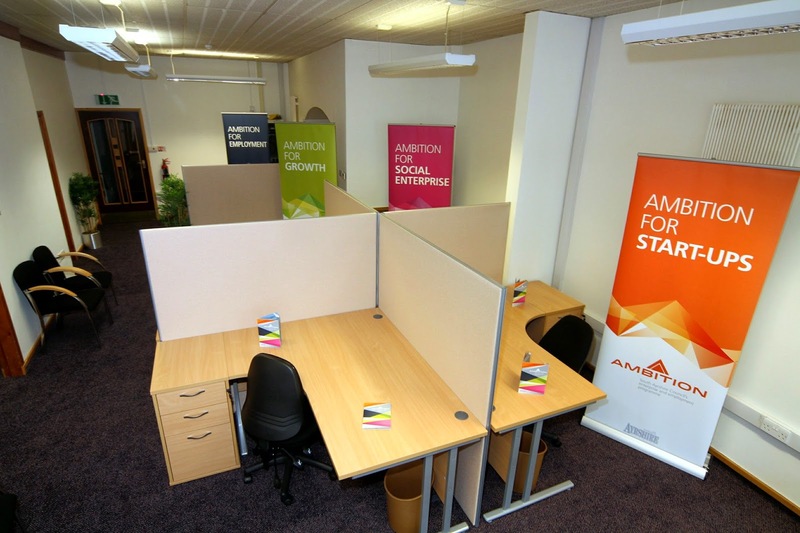 Based in the former social work offices on the High Street, AMBITION for Maybole becomes the third suite of bespoke office premises, offered free to start-up companies and enterprises to help them succeed – providing the ideal location to develop and grow a new company. The Maybole incubator has space for eight businesses to work out of the unit on a full-time basis, with additional meeting, conference and hot-desking facilities also available. Complementing the practical support the unit also offers a comprehensive package of mentoring, access to expertise and advice and hands-on support to ensure businesses get the best possible start and really get the chance to grow. 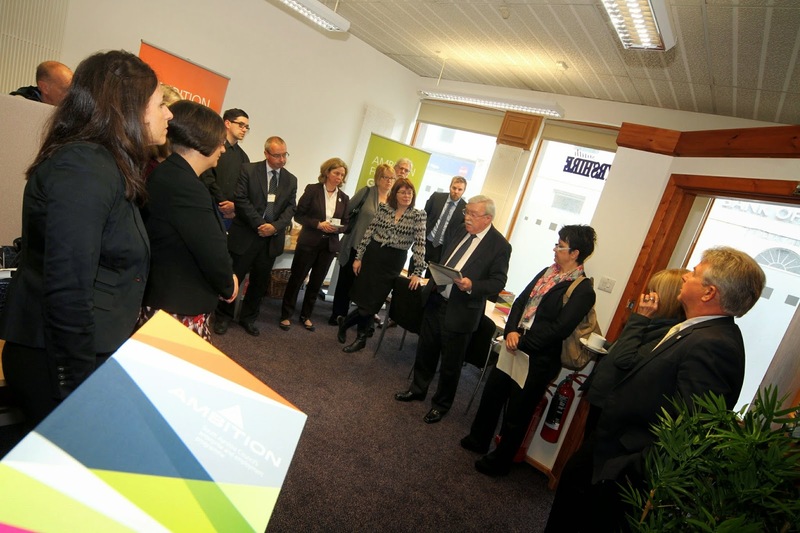 To date, a total of 24 businesses have either started, or are in the process of starting, thanks to the support offered by AMBITION with 6 currently benefiting from free Incubation space and support. The overall aims are to create jobs, keep jobs, help businesses start-up, help businesses grow, increase the number of social enterprises and, ultimately, help improve the local economy in South Ayrshire in a lasting and meaningful way. South Ayrshire Council Leader, Councillor Bill McIntosh (pictured above) explained: "AMBITION is all about taking a dynamic and sustainable approach to help achieve economic stability and security for our communities. 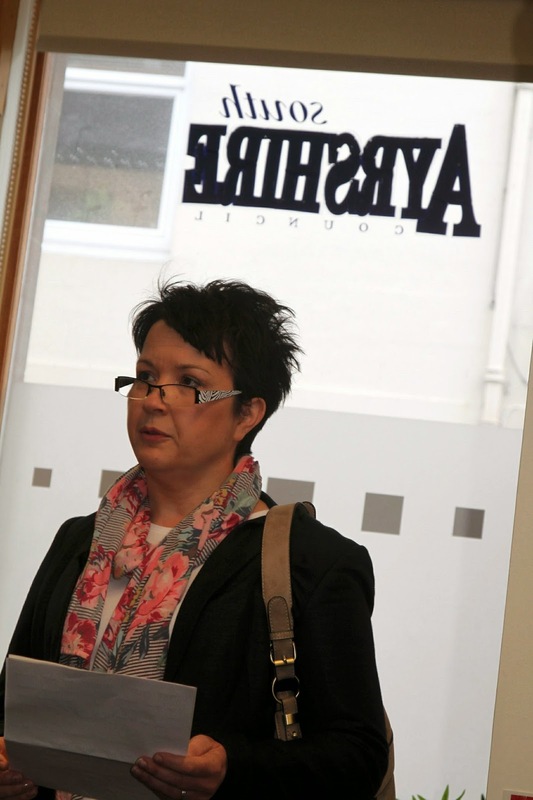 "The Maybole incubator joins Ayr and Girvan as an excellent example of how we can support new businesses with a dedicated business adviser, free business space, hot desk facilities, conference and meeting rooms, as well as access to finance and grant funding all on hand. Maybole joins the incubators in Ayr and Girvan, which have already seen an online fashion business launched and an Italian company investing in South Ayrshire. 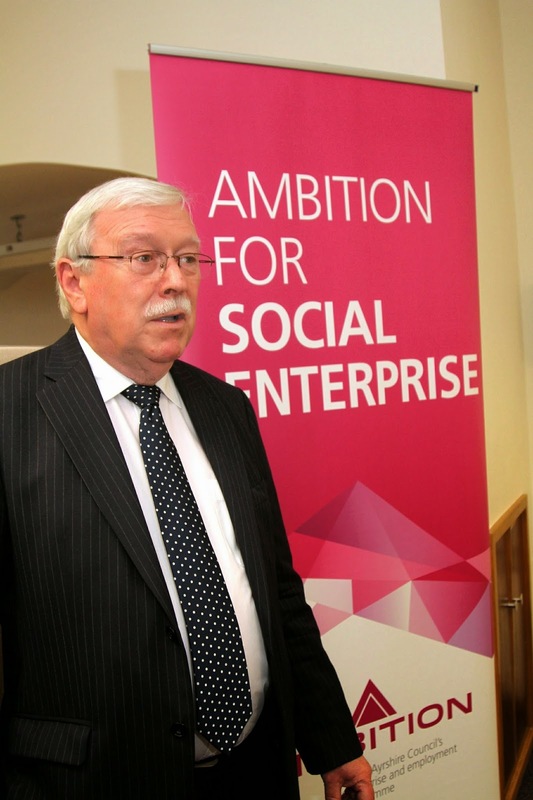 In addition, the AMBITION programme has committed business support which has already created 223 new jobs and is well on track to deliver the target of 1,000 new posts by 2016. Councillor McIntosh continued: “Having such business support in the very heart of the community will help to lessen the pitfalls for any local person wanting to take the plunge and follow their dreams, and I would urge anyone starting up – or interested in starting up – a business to get in touch with us to see if Maybole could be their new home.